Recently when I added a new nvidia graphics card to one of my desktops, I was curious to measure and compare the power of this graphics card with whatever it was before. One way to do this is with benchmark tools which would run a series of "drawing" tests to measure the graphics processing capacity of the hardware. In simple terms, GPUs that can process and render more images/graphics per unit time (frames per second), are more powerful. On Linux there are not many tools for benchmarking GPUs, and after spending quite some time on google, I came across this little tool called glmark. It is developed by Linaro. Glmark runs a series of tests, rendering different kinds of 2D and 3D graphics and animations on the screen and then measures the output performance in terms of FPS (frames per second). It then averages out the fps across all the tests to calculate a score for the gpu. Not very sure, but the best guess is, that this score is a relative measure of how capable the graphics processing unit of your machine is. Comparing it with the score of other machines should give a rough comparison of the graphics processing power. => "Intel® Graphics Media Accelerator (Intel® GMA) X3500 onboard graphics subsystem"
=> "Integrated Intel Graphics Media Accelerator X4500"
First thing to do is install glmark. On Ubuntu/Linux Mint it is available in the default repositories. To run the tests, all you need to do is to run the glmark2 command without any options. It would render many different kinds of animations one after another inside a window, and print out the fps measurements alongside in the terminal. Make sure to not run any cpu intensive application during this time, else the test results may deviate. At the end of the tests, glmark would show a score. A higher score would should indicate a more powerful GPU. The end score is not fixed and varies each time you run the test. But it does stay within a close range. So you need to run glmark a few times ( I did 3 times), and take the average score. In some cases, a particular test run might result into a very high or low test score. I simply discarded those values and rank glmark again. All tests were done on Samsung LCD monitor with [email protected] resolution. This machine has the least amount of graphics power and the glmark tests are not even able to complete because the system crashes somewhere in between. The 3d animations do work, but with jitters. Note that the renderer is MESA, which indicates that the 3D acceleration is being software emulated and not available from the hardware. So hardware acceleration is unavailable. This is the Gigabyte motherboard with integrated Intel GMA graphics unit. This machine has slightly higher graphics power compared to the previous machine. The average score for this machine was around 350. This is comparatively better than our previous machine which had an inferior GPU. This machine can play supertuxkart a little bit. But games like 0AD do not work. But again, direct rendering is done by MESA, so hardware acceleration is absent. First we are going to test it with the default Nouveau drivers and see how it performs. The next test would be done with Nvidia proprietory drivers. The average score remains around 335. The score indicates poor graphics performance inspite of having a dedicated Nvidia GPU. Its because of the Nouveau drivers which are inefficient and do not use the full potential of the nvidia cards. Games like supertuxkart and 0AD worked very well. Note that the score of this machine is lesser/equal to the previous machine. While testing games it was seen, that this machine had a better graphics performance. This is because this machine has a separate dedicated GPU which works independantly. Whereas in the previous machine the MESA libraries used the main CPU to do graphics work, which resulted in a competitive score, but would fail when real applications would use it. This is the same machine as above, and uses Nvidia proprietory drivers instead of Nouvea drivers. This time the score is above 500 and this machine has very decent graphics performance for low requirements like playing kid games. Games like Supertuxkart and 0AD work perfectly without any glitches. 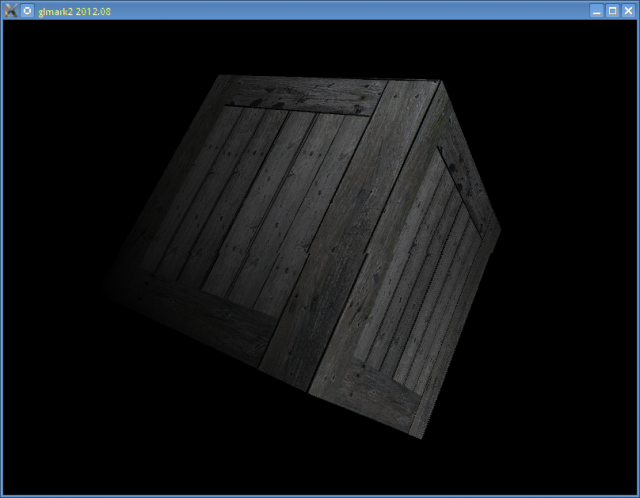 The GL rendered is Nvidia driver which means that hardware based 3d acceleration is available and is working fine. To benchmark your system's GPU run the glmark command and check the output and score. Performance shall be highest with proprietory drivers instead of the free drivers. There is no online score table to compare against, but concluding from the above tests, something higher that 500 should be good and indicate usable hardware acceleration provided that GL_RENDERER is a non-MESA driver. If the GL_RENDERER is MESA, then 3d rendering is being done by software and not hardware, and so 3D applications and games would have very poor performance. If you add a new graphics card to your linux machine, the first thing to do would be get the best driver for it. 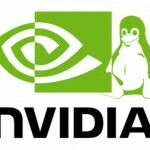 Nvidia provides linux drivers for most of its modern graphics cards which work very well with linux. You can get a list of some of the best performing GPUs for linux at http://www.free3d.org/. In the above tests it can be seen, that with rising score, the FPS count in each individual test rises progressively. So high performance GPUs are able to deliver a higher FPS. However this FPS should not be confused with the monitor refresh rate which is 60 and will stay there. The FPS depicted in the benchmark test is a measure of how many frames was the GPU (or the entire system) was able to process and generate per second. Note that the glmark score is not a conclusive test of the graphics performance. As seen in the 3rd test, the scores can sometimes be misleading. For example, a machine with high CPU and no hardware acceleration might get the same score as a machine with moderate CPU and low GPU. This happens because the software based rendering via the high CPU equals the processing power of the hardware acceleration of the low GPU working alone. However this is a limitation of the benchmark tool which have to evolve to perform indepth tests and analysis to give a more accurate picture. So now run glmark on your machine and tell us your score along with GPU brand/model, in the comment box below. Now here are the scores of some graphic cards, reported by other users. i5 Gen 3 processor, laptop, no dedicated graphics hardware. Games run ok on this system.